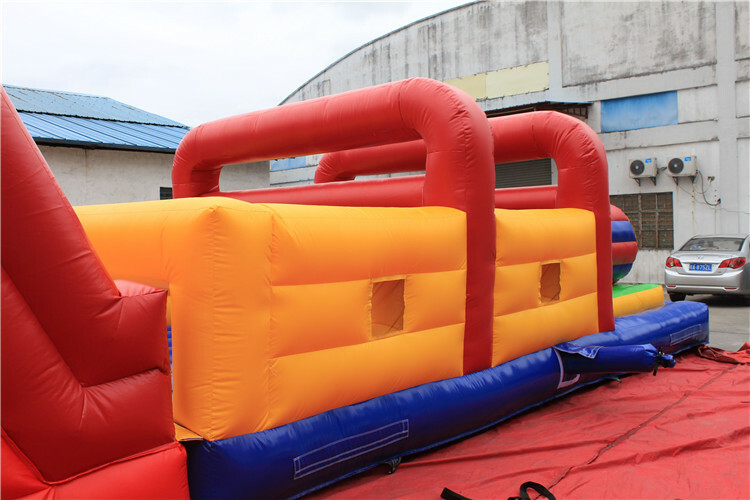 This inflatable meet European Safety Standard EN 14960 : 2013. Its 4 course challenge combination of holes, climbing, pool of ball and obstacles. Very suitable for kids, teenager.